1. Slice bagel in half and toast. 2. In a bowl, mix eggs, milk, chives, salt & pepper. Add a slice of butter to a pan and pour the eggs in to scramble. As I learned from Barefoot Contessa, it is best to cook your eggs on low heat & keep stirring. 3. 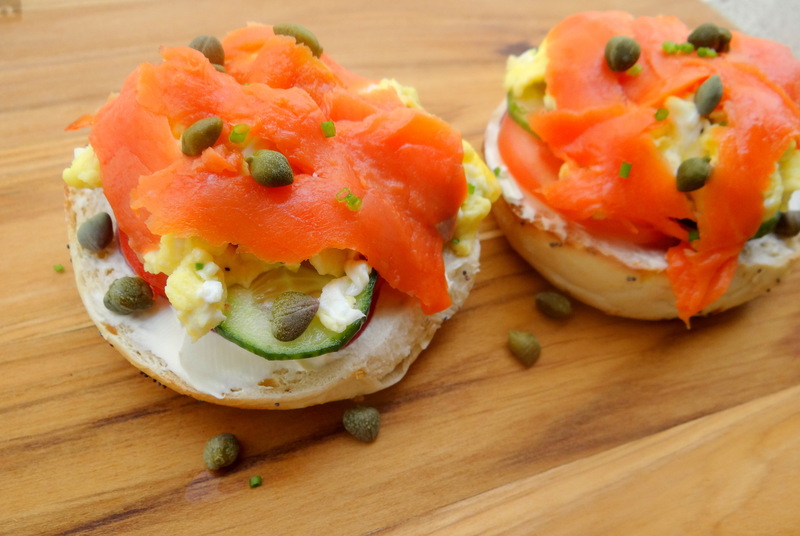 Spread cream cheese on toasted bagel and then layer on top: red onion, tomatoes, cucumber, scrambled eggs & top with lox. 4. Sprinkle as many capers as you want on top.